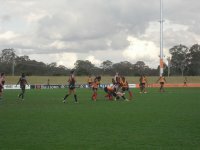 The 2011 International Cup will be the first to feature a women's division, with the USA, Ireland, Canada, PNG and Italy among those who have expressed an intereste to head to Australia. Despite being relative newcomers to the international footy scene, the AFL Italia are planning to send both a men's and women's squad Down Under, after their women's side faced off against Ireland in Europe's first-ever international women's match last October. Peta Lowry from the AFL Italia spoke to WFN about the Italian national women's team and their preparations. Lowry says the Italian women's team is fairly certain to be coming to Australia in some form, although the size of the squad remains to be seen. "The pool is growing as the sport gets more exposure, but currently the women's division has around 40 players. At this stage our plan is 100% to get to Australia, however because we only play 9-a-side Footy in Europe we’re not sure how many players we will be able to field. This will also depend on how much sponsorship money we can secure. Worst case we’ll be sending about 10 players and then working with AFL Female Footy in Australia to source Australian players with Italian heritage to make up the numbers." "Training for the International Cup began in November last year when we were lucky enough to have the Head of Female Football from AFL Australia, Jan Cooper, come to Verona and hold a full day training session with the AFL Italia team. There are now four female clubs, 2 in Milano, 1 in Verona and 1 in Polcenigo and each club trains at least once a week. The coaches and trainers from these clubs have been trained by our Head Coach and inspiration Luca Tramontin, an AFL Switzerland player." "We also expect to have a number of Coaches and Players from the Female Footy Australian league travelling to Italy over the next couple of months that will work with us to arrange special training sessions." "We are working with Female Footy in Australia and are arranging to send a number of our key players to Australia during the European Summer to train and play with some of the Australian Female Footy leagues in preparation for the International Cup. The AFL Italia is supported by the Italian Chamber of Commerce and various Italian community networks in Australia. "We regularly provide updates on our leagues and progress which they distribute for us. They are also promoting the AFL Italia and AFL Italia Femminile sponsorship proposals," Lowry says. Australian media interest has come in the form of interviews with SBS and 3AW, with the Italian media also reportedly very interested in anything Australian in Italy. AFL Italia members Daniela Scalia, Luca Tramontin, Gianluca Veneziano and Armando Colombo all work in the local media and have sourced opportunities to promote Aussie Rules in Italy through such channels as Sportitalia TV and Eurosport TV. Lowry says that to help the Italian men's and women's teams on their quest for IC glory, WFN readers can "spread the word that Australia’s greatest game is being played in Italy by native Italians, who have a passion and love for the game almost as strong as Aussies. 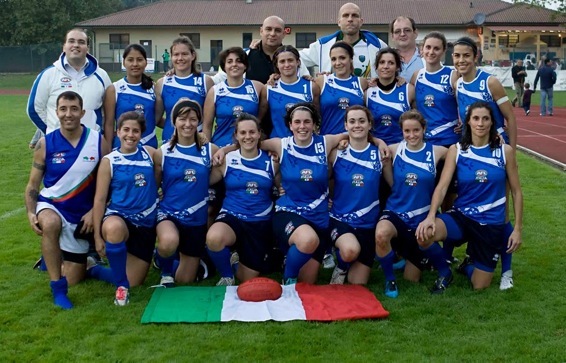 All the Italian girls in Australia who will help to field the team will be also part of the media activities and we will be glad to have them visit in the near future, as our clubs are based in the most historical, scholarly and touristic parts of Italy."